The Scottish Highlands are home to Britain's most spectacular mountain scenery. The stark hills, fearful crags, glorious glens and sparkling lochans make for a wide range of landscapes and have attracted generations of landscape lovers, hilllwalkers and mountaineers. This book is intended to help those who adore this landscape to gain an insight into the geological forces that shaped it. The first half of the book tells the story of how the rocks were created and shaped by the gross forces of plate tectonics, colliding continents, volcanoes, mountain building and glaciation. 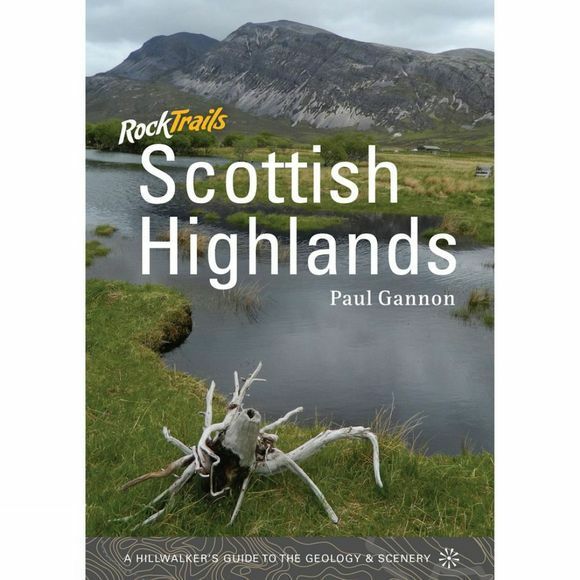 The second half of the book details 18 walks with a variety of geological features set among consistently fantastic views. The walks are widely spread, encompassing the isolated peaks of Sutherland in the far northwest, the rolling granite massif of the Cairngorms in the east, the haunting beauty of the Ardnamurchan peninsula in the west and a select choice from the vast range of stunning mountains in the central and southern Highlands. Paul Gannon is a science and technology writer. He is a dedicated hillwalker and organises landscape walks for hillwalkers interested in finding out more about the geology and scenery of upland areas.